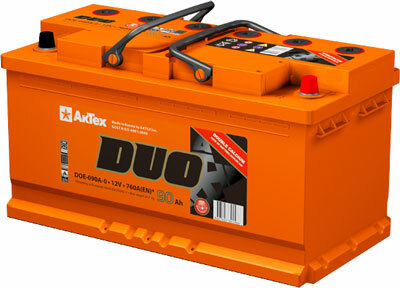 AKTEX DUO is the new classic. 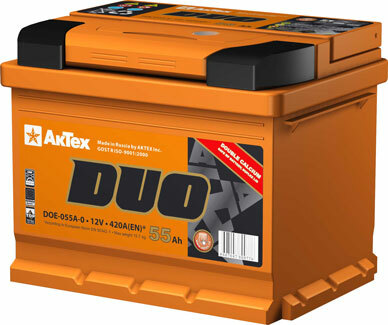 Made with the world-standard Double Calcium technology, equipped with Duplex CMF lid and charge indicator, it is … well, itself a good example of a world standard battery. 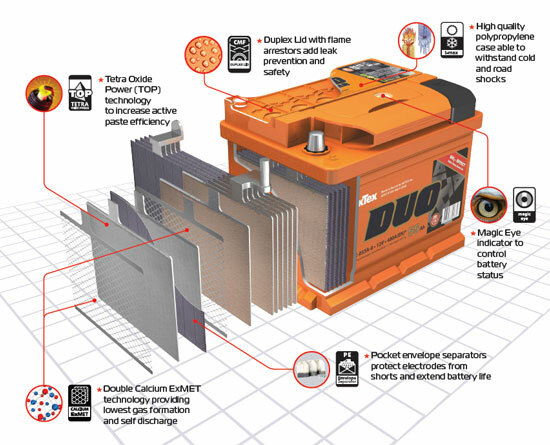 This means non-existent water loss, fast charge and premium manufacturing quality. Fit for moderate and hot climates, it also packs a punch in energy, so additional electronics and accessories such as air conditioning, above-average music systems or GPS navigator are not a problem. 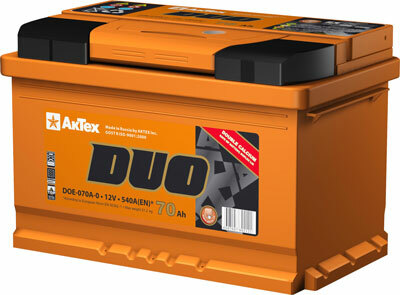 Thus, it is a perfect partner for «nice-n-shiny» under-the-hood components of above-midsize and premium vehicles.